Speed Styles provides the expertise to help you customize your ride. Since 1998, we have been serving Customers throughout the Carolinas providing quality aftermarket Car, Truck , SUV Accessories; Performance Parts & Professional Installations including window tinting, vinyl graphics, wheels, tires, suspensions, brakes, air intakes, exhaust systems, custom lighting, body kits, spoilers, super-chargers, turbo kits and much more. Our team of professionals are passionate about automobiles. We take pride in providing outstanding service and a broad selection of aftermarket automotive accessories for customers looking to personalize and customize their ride. 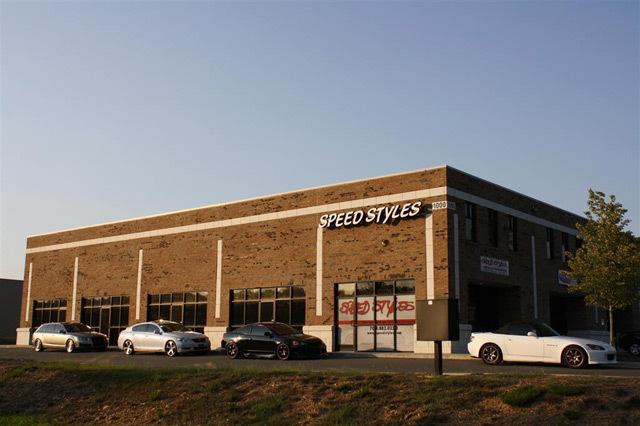 If you want performance enhancements, that is for your ride, then call Speed Styles as we offer an array of performance parts to help you GO faster and STOP faster. SPEED STYLES is a registered trademark of Speed Styles, Inc.
Are you looking for the ideal CAR, TRUCK or SUV ACCESSORIES? Body Kits, Wings, Spoilers, Custom Lighting, Vinyl Stripes & Decals, Interior Accessories, Exterior Accessories, Engine Dress-Ups, You Name It…we are here for you! Is it time to beef up the performance of your ride? Wheels, Tires, Suspension Kits, Brakes, Air Intakes, Transmissions, Exhaust Systems, Super-chargers and turbo kits, and much more. Do you want to cut down on sun glare, reduce heat and protect your ride’s interior? Our team of professionals will apply high-quality carbon film — which comes with a lifetime warranty — to help block heat, keep your interior from fading, and provide 99% protection from harmful UV rays, among many other benefits. Riding in comfort and style 24/7? Yes, please. What about Professional Installations and Support? We offer quality installation on all of our Car, Truck & SUV Accessories, Performance Parts, Wheels & Tires and Window Tinting.